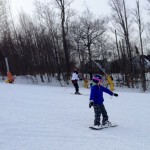 Stratton has been known as a great family ski area and it seems to only be getting better. My children went through little Cub through racing and freestyle and did some coaching. Now my 3 year old granddaughter went to Mini Cub this past weekend. The arrival was seamless as she was taken into the mysteries of mini cub. We didn't have to rent - skis, boots and a helmet and were all provided. 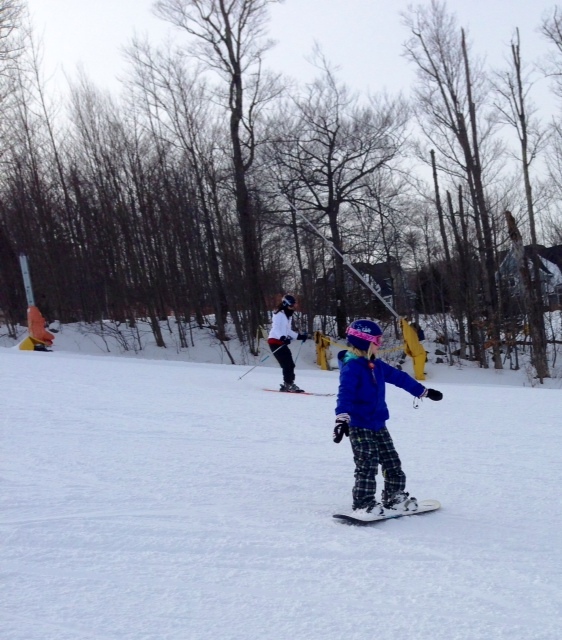 By the end of the first day, she was on the little black magic carpet. 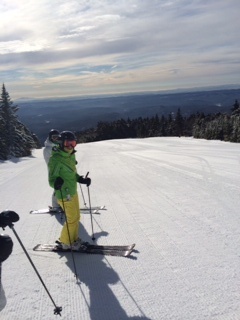 Day two she went back in and had a great lesson with Vaughn Willis and did two runs off the big yellow caterpillar. Gone are the days of kids have to side step up to learn to wedge - Now it it pizza, french fries and stop the bugs. She had such a great time and can't wait to come back for more. Both parents were just as proud. As you go through the various programs as Maddox - 9 years old here - the kids can move into a junior racing or Freestyle Program. At the year end awards there were over 275 kids in the racing seasonal programs. 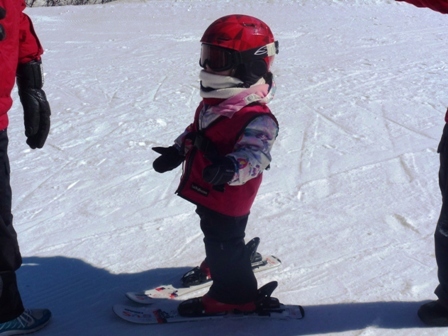 If racing is not your child's thing there is a great snow board school. 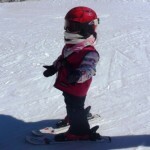 See Macy shreading the slopes. Skiing is a great family sport and now is the perfect time to start thinking about making plans for next year. 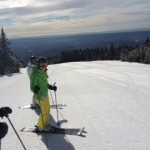 Stratton is offering great deals on season passes for early purchase. Prices are still reasonable to purchase and some great buys are available to purchase a home or condo. DO come to Stratton and see what we can offer. Here we are getting ready to ski first tracks on Kidderbrook on Wednesday morning. 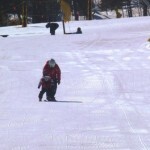 The ski coverage is amazing and we had an additional 5 inches of snow last night before some of the cold, wet stuff. 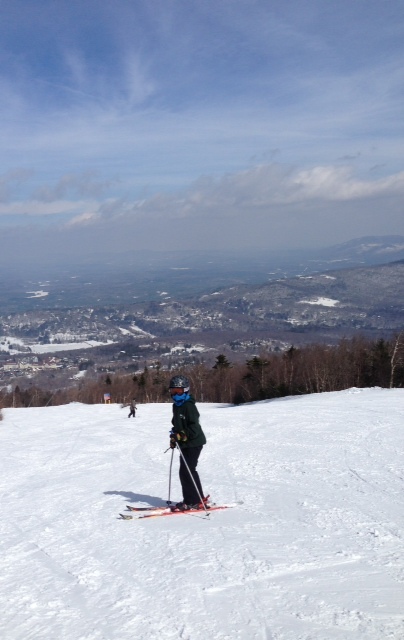 Stratton will close April 13 with some of the best conditions for late Spring skiing. 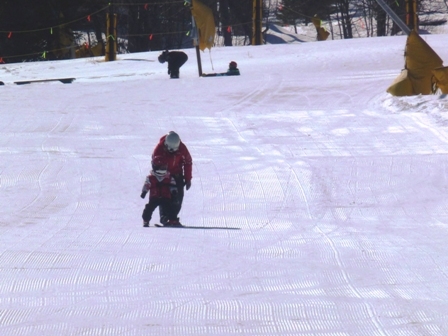 Spring is a great time to start learning to Ski. My 3 year old granddaughter will be going to Mini Cub this weekend to start to learn for the first time. So amazing as its in the same location where my children learned to ski. While all of this is happening, we are seeing an uptick in real estate activity. Prices are still really great and there are some great late season price reductions. We hav e a 2 bedroom, 1 bath Ski in and Out at Stratton just reduced to $199,900- a super value. 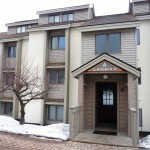 This great unit gives you the advantage of Ski in and out and the ability to walk to Stratton's Village for dinner. This a great starter vacation home for a family and a super value at Stratton. 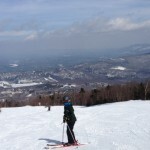 If you don't own or rent, we can rent you a place for a weekend of Spring Skiing at great prices. If you are thinking about purchasing a Stratton Ski home home for next season now is a great time to look and go to contract. If you are looking for summer and thinking Wanderlust or Horse Show now is a good time to think about booking, as we have already received a number of reservations for both.